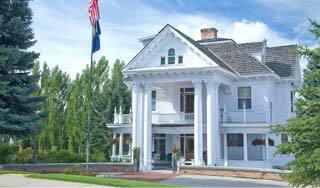 Most people venture to Montana in search of spectacular scenery, breathtaking experiences and western hospitality. We also offer up some of the most unique lodging in the West. 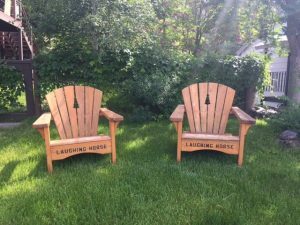 Here in Western Montana’s Glacier Country, that consists of a variety of mountainside lodges, family inns, working and luxury guest ranches and some of the most charming bed-and-breakfasts in the Treasure State. We’ve rounded up a few B&Bs in Glacier Country that your clients might enjoy, all with easy access to the unmatched recreation opportunities available under our signature big blue skies. Located in the charming town of Victor in the beautiful Bitterroot Valley, this four-bedroom bed-and-breakfast offers a truly authentic Montana experience. 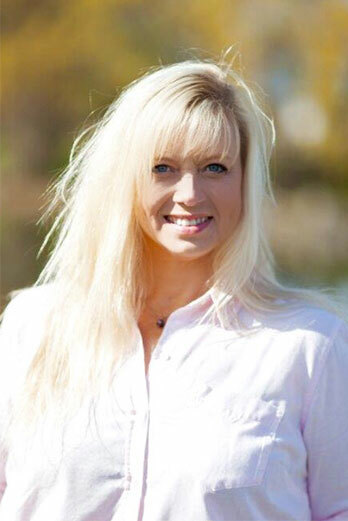 Host Trish offers a full gourmet breakfast, and lunch or dinner upon request as an add-on. In-room amenities include a private bath, spa robes, ice and water night tray, turn down service, satellite TV and complimentary Wi-Fi. Recreational activities abound in the Bitterroot Valley, with exceptional hiking and biking, as well as fly-fishing on the Bitterroot River. Historical attractions in the area include St. Mary Mission and the Daly Mansion and the Margaret Daly Memorial Arboretum and Botanic Garden. The Dragonfly Cabin is welcoming. Located in the heart of downtown Missoula, this beautiful four-bedroom 1903 Victorian Mansion has been restored with modern amenities, offering guests a home away from home. Guests are invited to enjoy a book in the parlor or library, a cup of tea by the fireplace in the grand entry, or a glass of wine in the meticulously manicured flower gardens. Mornings include waking to freshly brewed coffee and scones brought to guests’ rooms, followed by a full gourmet breakfast in the dining room prepared by hosts Tom and Nancy. Missoula—known as the Garden City and the cultural hub of Western Montana—has an array of restaurants, museums, galleries and boutique shopping, and endless recreational opportunities, like hiking to the M overlooking the Missoula Valley, or taking a short drive to explore Garnet Ghost Town, the National Bison Range or the Bitterroot Valley. The grand entrance to the Gibson Mansion Bed & Breakfast. 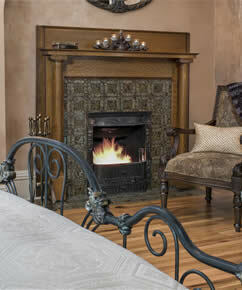 Enjoy a cup of tea by the fire in the master suite. 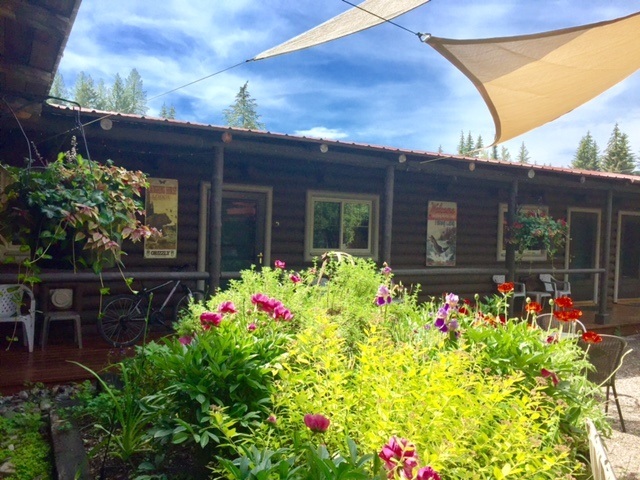 This charming three-bedroom inn is located in Huson, Montana about 45 minutes west of Missoula off Interstate 90 in a beautiful valley setting. Guests choose from rooms with Wild West cowboy décor, Native American art or running horse inspired décor including a hand-hewn log bed and all rooms have a private bath. Mornings include a delicious breakfast and freshly brewed coffee provided by hostess Jan, and guests enjoy specialty drinks and appetizers in the afternoon. Nearby recreational activities include bird watching, nature walks, mountain biking, as well as fly-fishing and rafting on the Clark Fork River. Enjoy a delicious breakfast at the Running Horse Inn. Montana decor in every room. Open May through October, the Laughing Horse Lodge is located in the Seeley-Swan Valley on Highway 83 at the southern end of Swan Lake. 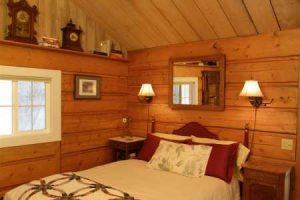 Guests choose from eight guest rooms decorated in true Montana style with log furniture, quilts and cowboy art, all with private entry and bathrooms. 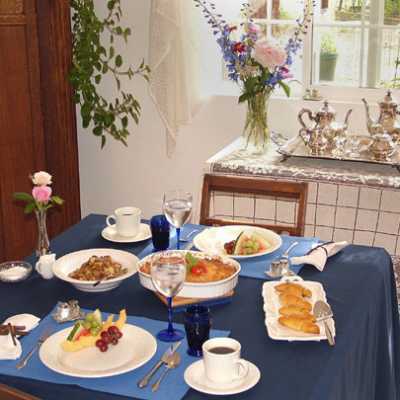 Mornings include freshly brewed coffee and a delicious hot breakfast in the dining room. Guests can enjoy the array of flowers in the central garden or the vegetable and herb garden used to make the lodge’s delectable meals. Wednesday through Sunday, guests can choose to have a farm-to-table dinner with host Kathleen as their personal chef, whose menus blend numerous ethnic influences. Reservations are required for this add-on. The Swan and Mission Mountain ranges offer hiking, mountain biking and horseback riding. On-the-water recreation is also available, including kayaking and stand-up paddleboarding on the Swan River and Swan Lake. 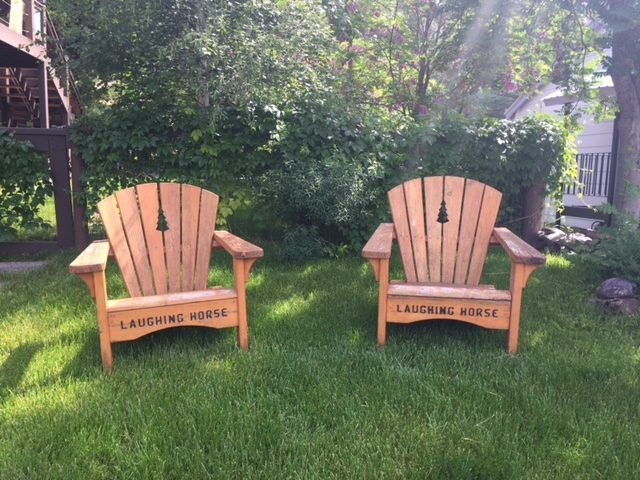 Relax in the gardens of the Laughing Horse Lodge. Private entrances amid the blossoms. The Hidden Moose Lodge was designed to reflect Montana’s rustic beauty and rugged history. 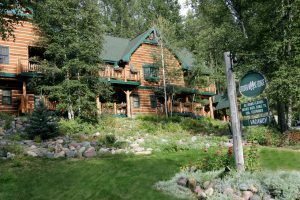 From the magnificent river rock fireplace—which is the focal point of the lodge—to the hearty Montana-sized breakfasts, this cozy 12-room lodge located in Whitefish welcomes visitors and makes them feel at home with hosts Kent and Kim. Additional amenities include complimentary evening beverages, an outdoor hot tub, Wi-Fi, a DVD library and a free winter ski shuttle to Whitefish Mountain Resort. 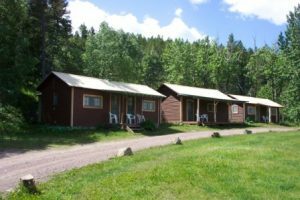 Outdoor activities abound just outside the lodge doors, including Whitefish Lake and the Whitefish trail system for hiking and biking. Glacier National Park is a short 40-minute drive to the west entrance. Winter activities include skiing and snowboarding at the world-class Whitefish Mountain Resort. Downtown Whitefish is bustling year-round with quaint eateries and boutique shopping as well as a robust nightlife. 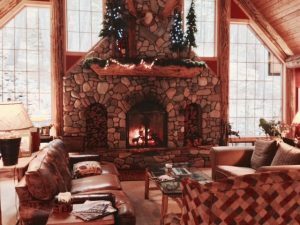 Guests relax around the stone fireplace at Hidden Moose Lodge. The lodge among the trees. 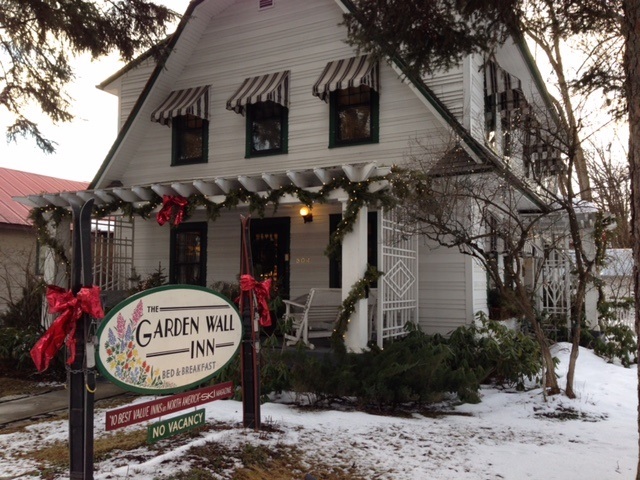 A small luxury bed-and-breakfast located in downtown Whitefish, The Garden Wall Inn’s hosts Rhonda and Chris provide exceptional service. Each guest room is decorated in 1920s décor, including the private bathrooms, but feature modern luxury like Egyptian cotton sheets and down comforters. Both chef-owners pride themselves on giving their guests farm-to-table culinary delights for breakfast and afternoon hors d’oeuvres. Guests start their mornings with freshly brewed coffee or tea delivered to their rooms as their wake-up call. From skiing at Whitefish Mountain Resort to visiting Glacier National Park or staying in town to experience the local farmers market or downtown shopping, The Garden Wall Inn is close to it all. Coffee arrives as your wake up call. Tucked amidst the aspens and pines west of East Glacier Park and open May to October, this multigenerational family-owned and operated bed-and-breakfast offers three A-frame chalets and four rustic cabins along with a fantastic small restaurant that is open to the general public from 5 to 9 p.m. The cozy A-frames sleep up to six people and include small kitchens, living rooms, private baths and gorgeous views of the Rocky Mountains. 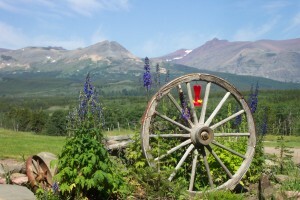 Guests of Bison Creek Ranch enjoy a breakfast feast featuring huckleberry pancakes, omelets or crepes. 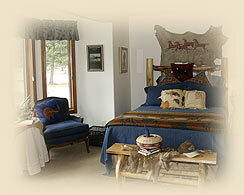 Access to the east side of Glacier National Park is a big draw for this bed-and-breakfast. Visit Two Medicine Lake or Many Glacier and Swift Current Lake. Take the famous Going-to-the-Sun Road to the top of Logan Pass for spectacular views of Glacier National Park. Views from Bison Creek Ranch. Most of our smaller properties work directly with tour operators for the FIT market. 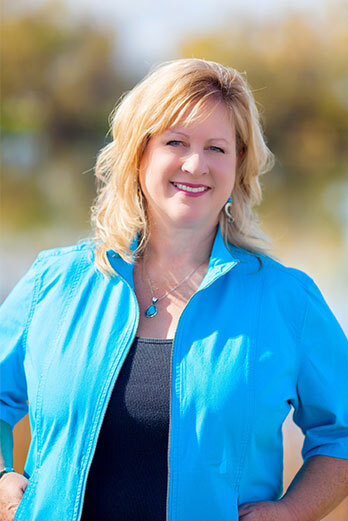 If you have a smaller property that would interest your clients, please reach out to me and I can help facilitate the introduction to the international market, and a receptive tour operator that works with lodging in the Rocky Mountain region. For itinerary assistance, I am always here to help. This entry was posted in FIT, Tour Operators and tagged Bed & Breakfast, Bitterroot Valley, East Glacier Park, FIT, Glacier National Park, Huson, Missoula, Swan Lake, Tour Operators, unique lodging, Victor, Whitefish on March 15, 2017 by Debbie.